Guests at last year's Jazzy Holiday Gala. The fundraiser for the Harvey B. Gantt Center for African-American Arts + Culture is Dec. 2. Jazzy Holiday Gala: This year's gala fundraiser for the Harvey B. Gantt Center for African-American Arts + Culture celebrates the style and aesthetic known as Black Cool. The evening features a cocktail reception, dinner, dancing and an awards ceremony. This year's Spirit of the Center honorees include civil-rights law firm Ferguson Chambers & Sumter; artist Charles Farrar; and architect Phil Freelon. 6 p.m. Dec. 2. Crown Ballroom at the Charlotte Convention Center. Tickets are $250. www.ganttcenter.org. The Charlotte Symphony Orchestra performs Magic of Christmas Dec. 2-3 at Belk Theater. Magic Of Christmas: Albert-George Schram conducts the Charlotte Symphony Orchestra for this holiday performance for the whole family. There's also music from Mark O'Connor and O'Connor Band, the Charlotte Symphony Chorus and the Charlotte Children's Choir. Plus a sing-along of festive favorites and a visit from Santa. 7:30 p.m. Dec. 2; 4 p.m. Dec. 3. Belk Theater uptown. Tickets start at $19. www.charlottesymphony.org. The 62nd Annual Singing Christmas Tree is Dec. 9-10 at Knight Theater. The 62nd Annual Singing Christmas Tree: A Charlotte holiday tradition featuring the Carolina Voices MainStage Choir in a 32-foot tall Christmas tree performing favorite Christmas songs. They'll be joined by guest artists Caroline Keller, Grey Seal Puppets, Miller Street Dance Academy, Friendship Missionary Baptist Church Choir and Torrance Creek Elementary Choir. 3 and 7:30 p.m. Dec. 9; 4 p.m. Dec. 10. Knight Theater at Levine Center for the Arts. $25-$40. A special hour-long version of the show for children is at 11 a.m. Dec. 9; tickets are $14-$20. www.carolinavoices.org. Meet acclaimed artist Hunt Slonem from 5 to 7 p.m. Dec. 13 at The New Gallery of Modern Art during a book signing for Aviary. Birds By Hunt Slonem Book Signing: A reception and book signing from 5 to 7 p.m. Dec. 13 with renowned artist Hunt Slonem for his hardcover book featuring gorgeous photos of his sought-after paintings of birds. It's in conjunction with his exhibit Aviary, on view through January 3. The New Gallery of Modern Art, 435 S. Tryon Street. www.newgalleryofmodernart.com. 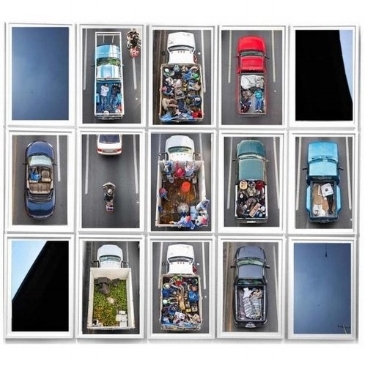 Alejandro Cartagena's Carpoolers IV, 2011-2012, is on view Dec. 8-Jan. 19 at SOCO Gallery. The opening reception is 6-8 p.m. Dec. 13. Opening Reception For Alejandro Cartagena: Home: Contemporary Mexican photography by Alejandro Cartagena from his Carpoolers and Mexicana Suburbia series. 6-8 p.m. Dec. 13. The exhibit is on view through January 19. www.soco-gallery.com. SWAN LAKE, THE MOST-LOVED CLASSIC BALLET, WILL BE PERFORMED BY RUSSIAN BALLET DANCERS ON DEC. 21 AT KNIGHT THEATER. Swan Lake: Stars from Russia's State Ballet Theatre perform the classic ballet. 7 p.m. Dec. 21 at Knight Theater. $35-$55. www.blumenthalarts.org.